This is Pocket Pistol Week. I’ll return to travel and photography next Monday, but today we’re taking an in-depth look at the latest iteration of the Colt Mustang. Wednesday’s mystery pocket pistol is going to be a bit of a surprise, especially if you’re one of the many people who believe that Wednesday’s pistol is no longer in production. And on Fun Firearms Friday both pistols are going head-to-head on the range for a direct comparison, as well as a size comparison to the most famous and probably the most prolific pocket pistols ever made, the Walther PPK and PPK/S (see: The Perfect Fashion Accessory—Walther PPK in .32 ACP). Before the Mustang there was the Colt MK IV Series 80 Government Model 380, which first came to market in 1984. 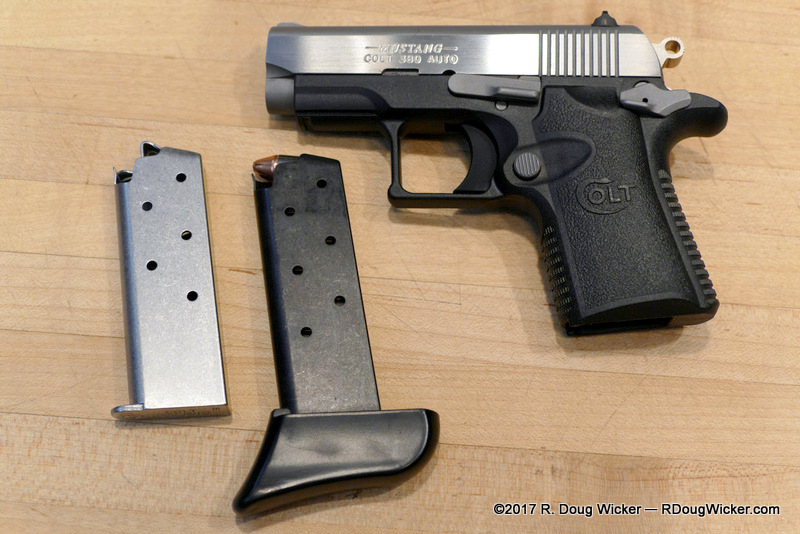 This pistol was, not surprisingly considering the name, chambered in .380 ACP/9mm kurz. The Colt Government 380 was a scaled-down version of Colt’s famous M1911 design, but without the grip safety. Alas, the Colt Government wasn’t much of an improvement in either size or weight over other .380 ACP/9mm kurz pistols long established in this market segment. The competition included such .380 ACP stalwarts as Walther’s PPK and PPK/S, SIG’s P230/232 line, and Beretta’s slightly larger but elegantly satisfying Cheetah series. 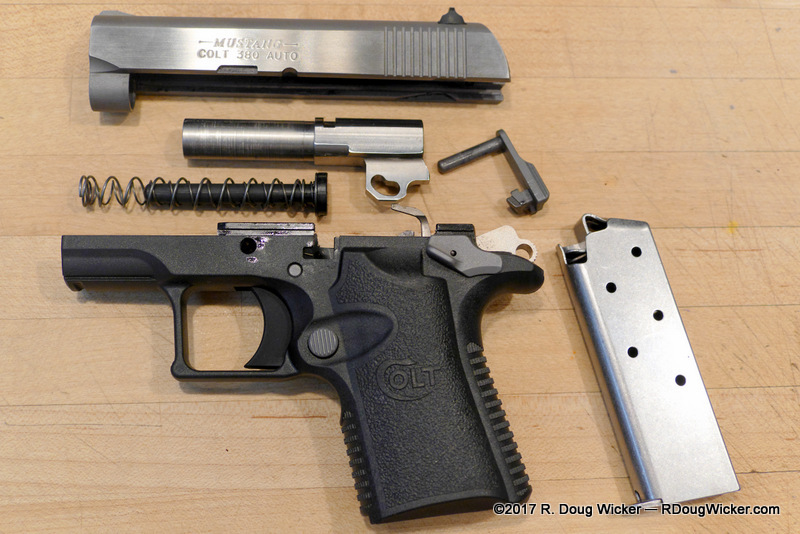 The milder recoil of the Colt’s locked breech design was nice, but not enough to become a serious contender in the .380 ACP market. So, two years later Colt’s Government 380 underwent further reduction in both size and weight, but at the cost of losing one round of capacity in the process. The smaller pistol’s design was also simplified with the elimination of the barrel bushing and other changes. Thus was born a true “pocket pistol”, the lightweight Colt Mustang. But as interest in the .380 ACP/9mm kurz waned in the 1990s, so too did the fortunes of the Mustang. Add to this some serious quality control issues and a bad reputation for reliability, and the Mustang was discontinued without much remorse in the mid to late 1990s. But a funny thing happened to the .380 ACP on the way toward obsolescence. Not only did older .380 ACP designs such as the Walther PPK/S and the SIG P230/232 continue somewhat steady sales, but by now Bersa’s Thunder had entered the market and began posing a serious, low-cost alternative to both Walther and SIG. 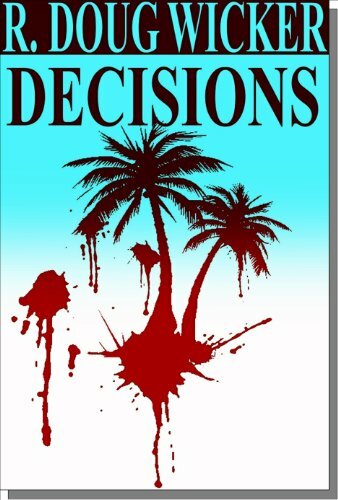 Then, in 2003, a new pocket pistol was introduced that really ramped up the resurgence of the .380 ACP. That weapon was the Kel-Tec P-3AT double-action only pocket pistol. Whereas the PPK/S and Thunder were recoil unfriendly blow back-design beasts in .380 ACP, the P-3AT had a very controllable locked breach design that proved that the .380 ACP could be tamed to the point of pleasantness, reliable in a locked breach weapon, and much more easily concealed than its larger, heavier blow back cousins. The explosion in states allowing for concealed carry also paved the way for this resurgence, as many people simply don’t want conceal much larger weapons in the more powerful 9mm Parabellum cartridge. To add even further insult to Colt, another manufacturer took that old Colt Mustang design and got it to work quite reliably. The SIG P238, an almost direct steal of the Mustang, made its debut in 2009. Like the Mustang that preceded it, the P238 was based on Colt’s 1911 and sported the same recoil-reducing locked breach design. The P238 even kept the Mustang’s original 6+1 capacity. Sales took off, enough so that SIG discontinued the previously popular P232 in 2015. The recoil from the .380 ACP in an 18.5-ounce/520-gram blow back P232 was simply no competition for the much softer recoil from the much lighter 15.2-ounce/430-gram SIG P238 and its locked breach design. The SIG P238 became an instant hit. 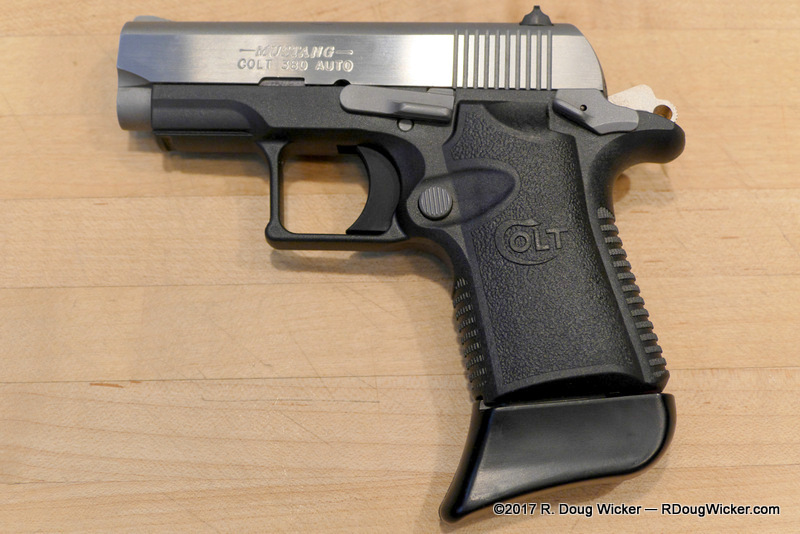 With the sudden popularity in SIG’s version of the old Mustang, Colt reintroduced their pistol in 2011. 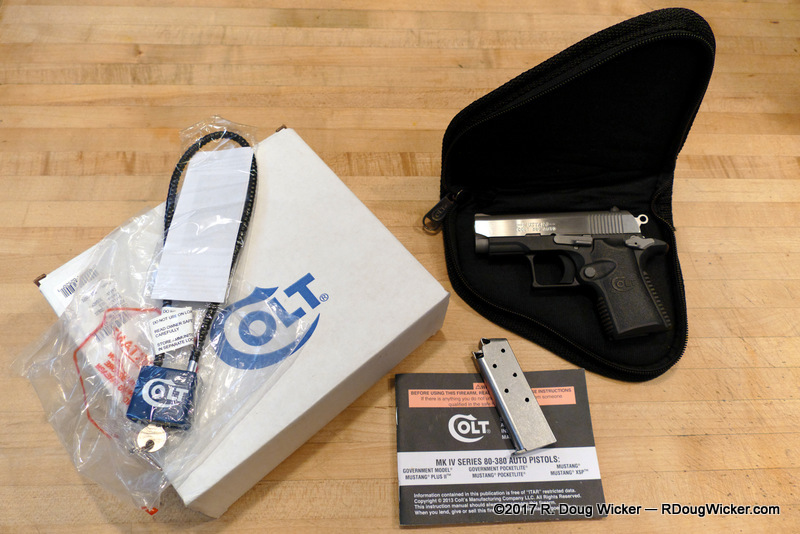 And Colt learned from their past mistakes, actually making a reliable version this time around using advanced CNC machining while instituting much better quality control over the final product. Not happy with merely improving the quality of the reintroduced Mustang, Colt now turned their attention to actually improving the design as well. Within two years Colt introduced a polymer framed Mustang called the Mustang XSP and sold it alongside the one-ounce/28-gram heavier alloy framed Mustang Pocketlite version. The Mustang XSP is no more, but the polymer framed Mustang still exists today as the Mustang Lite. And since the Lite frame has steel rail inserts, the pistol should be more durable than the alloy frame Mustang Pocketlite despite the fact that the Lite is an ounce lighter. I’ve not fired the Pocketlite, but I can tell you that the Lite is so tame and easily controlled that I don’t see the need for that extra ounce of weight. Let’s make a direct comparison with an earlier, heavier, blow back design. I have almost 35 years of experience shooting the .380 ACP version of the Walther PPK/S, which at 23.6 ounces/670 grams is almost twice the weight of the Mustang Lite’s 12.58 ounces/357 grams total weight including an empty magazine. The PPK/S has far more snap, demonstrates much more muzzle rise, and takes longer to reacquire the target for a follow-up shot than does the Mustang Lite. The PPK/S becomes a chore to shoot after only a few magazines. 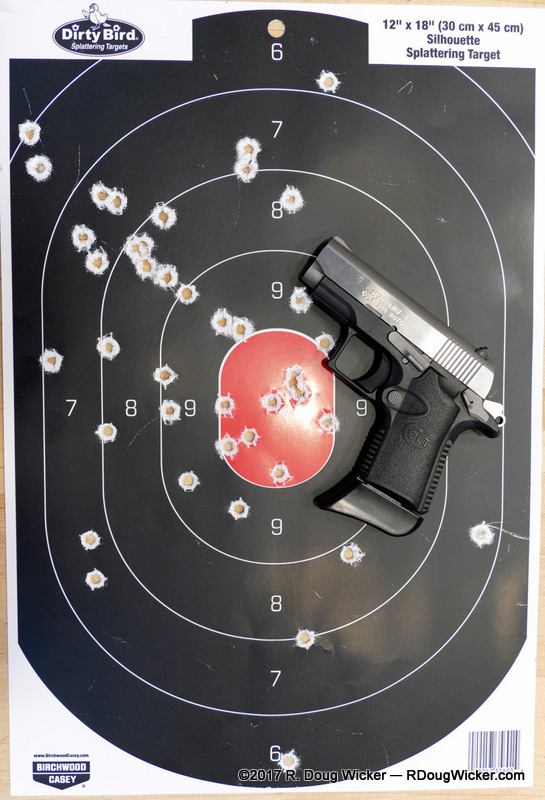 Although the long-tang redesign of the discontinued Smith & Wesson PPK/S variant helped immensely in this area, even that variation can become painful much over fifty rounds. Not so with the Mustang. This is an all-day shooter. There is simply no comparison. Not only is the Mustang smaller, lighter, and easier to conceal, it’s also a better shooter. Look for a description of the trigger performance on Friday’s comparison with Wednesday’s mystery gun. Alas, all is not peaches-‘n’-cream. Every gun has a downside, and the Mustang has several. Second is a problem with Colt’s Manufacturing. The Mustang only ships with one magazine, and the included six-round magazine didn’t even work. The top cartridge consistently nose-dived into the feed ramp, making chambering even one round impossible. Fortunately, I had ordered several after-market seven-round magazines from Metalform. 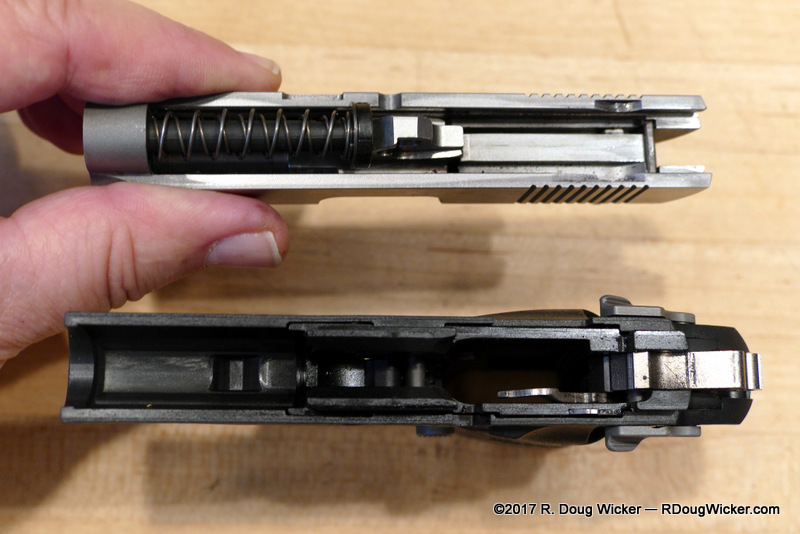 Had those aftermarket magazines not arrived in time for my range trip comparison between the Mustang and Wednesday’s mystery pistol, the Colt would have received a failing grade by default. 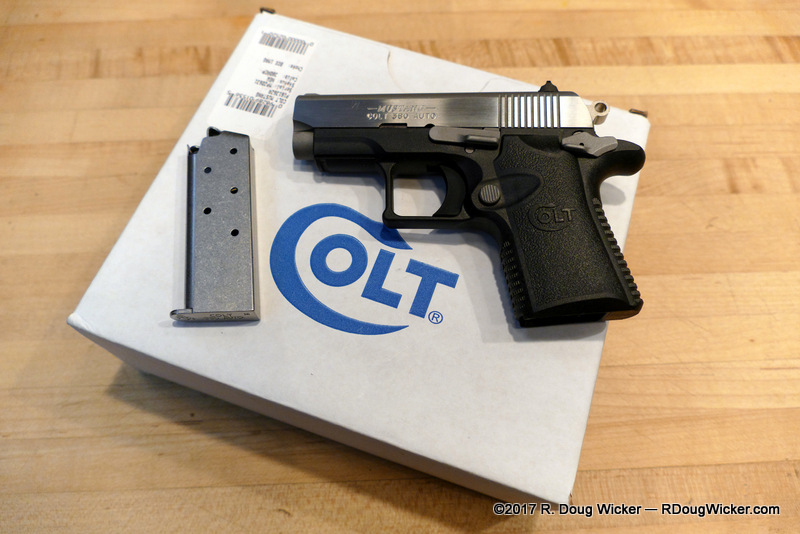 Colt was contacted almost seven weeks ago and said they would ship a replacement, but that shipment would be delayed awaiting availability. Here it is almost two months later and I’m still waiting. I’m glad I didn’t wait to acquire those three Metalform magazines ($18.99 through CDNNSports.com), or this firearm would be nothing more than an overpriced paperweight. A word about Metalform’s magazines: CDNNSports lists these magazines as “Original Equipment”, which leads me to suspect that Metalform may be the OEM supplier to Colt. The followers on the Metalforms appear identical to the magazine supplied by Colt, so that is a distinct possibility. Unfortunately, the 7+1 Metalforms come with a ridiculously long finger rest that adds an inch to the overall height of the weapon.